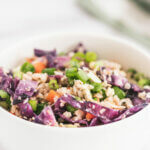 Substituting cauliflower rice for white rice and adding lots of veggies made this recipe a fun twist on a classic Asian dish. You may have been told that “white foods” have little nutritional value. That’s not the case with this versatile veggie. 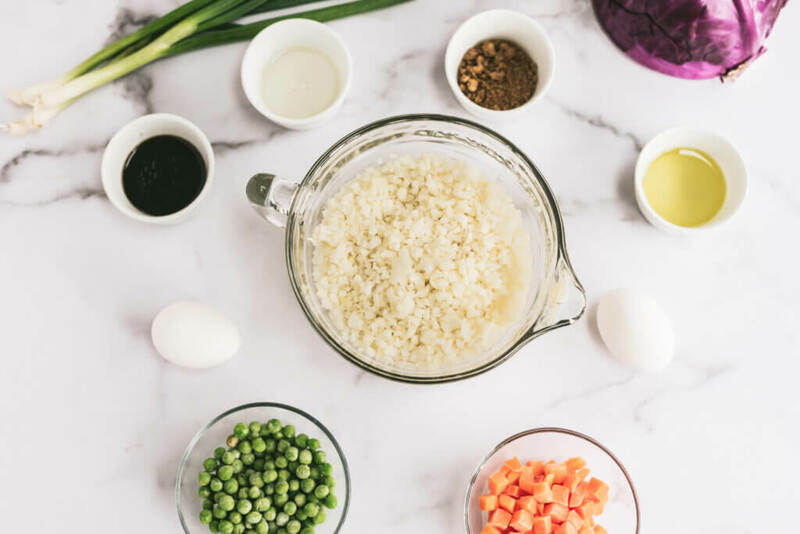 Cauliflower is loaded with nutrients, like vitamin C and K, which help boost your immune system and promote bone health. It IS, however, low in potassium, which makes it a great option for those needing to watch their potassium intake. Take a look at the nutrients below! You know what else I love about cauliflower? It’s versatile! Its mild flavor means you can pair it with almost anything you want. AND you can add a variety of herbs and spices to give it any dish amazing flavor! For the record, I personally am not a huge fan of raw cauliflower and only tolerate steamed cauliflower. But roasted cauliflower OR sauteed cauliflower are amazing! Adding lots of spices makes all the difference in the world. It can add excitement and uniqueness to the most simple ingredients. To my next batch, I added garlic, ginger, red pepper flakes and topped with green onions. I even (accidentally) used sesame oil infused with chile peppers, which gave it a little extra kick. It was amazing! When I served it to my family, it was gone within minutes. And guess what? You don’t have to make this dish exactly like I did. 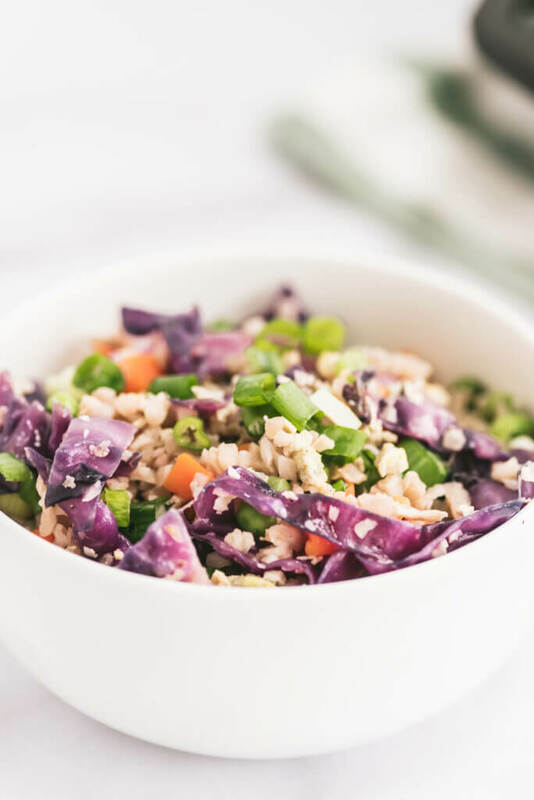 If you’re not a big fan of cabbage, then add some low potassium bell peppers instead! 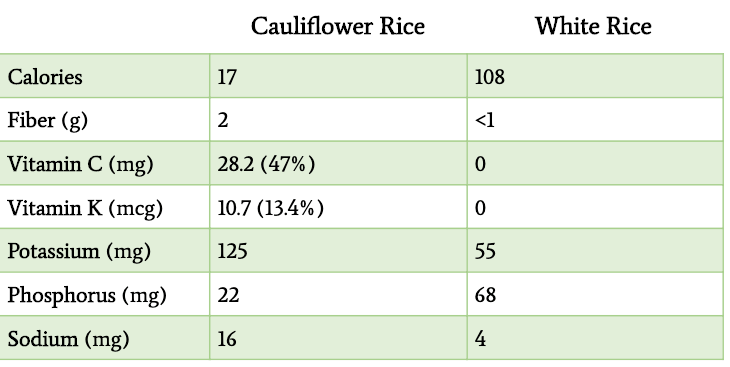 If you want to make it even lower in potassium, sub the cauliflower for brown rice or use half of each. 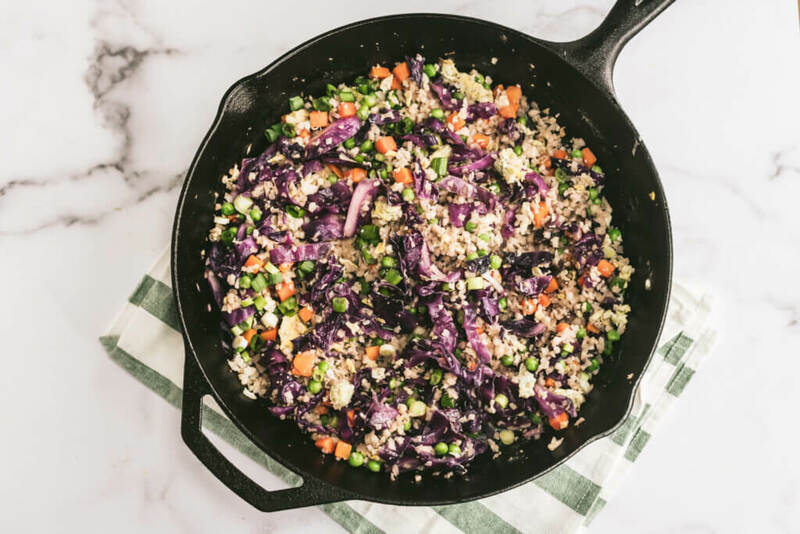 Whatever you decide, this dish will be a nutritious, flavorful addition to your menu this week. I have been looking for some variety on my plate and this looks awesome. Definitely going to make this and it’s so pretty too!!! It is really good Dana! Hope you enjoy!